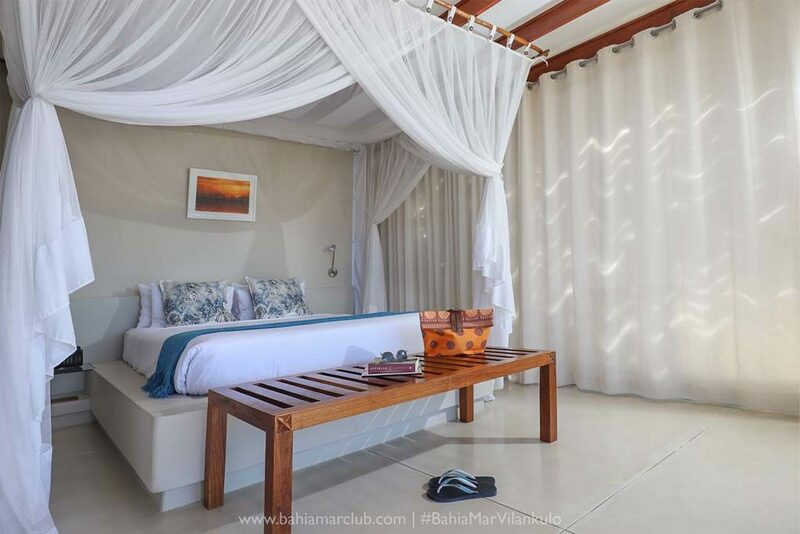 Accommodation at Bahia Mar Club includes car transfers from Vilanculos Airport and breakfast daily, all rooms have Air conditioned , Balcony, complimentary toiletries, mini-bar, personal safe, Tea & Coffee, Daily Housekeeping,WI-FI, cots and bunkbeds are available on request. 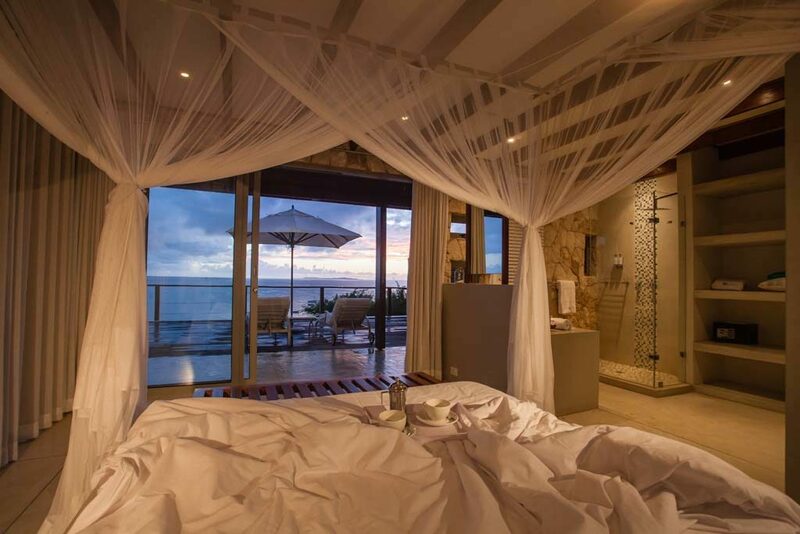 Sea View Bedrooms  En suite bedroom with a queen sized bed, shower, large veranda with sun beds and seaview overlooking the Bazaruto islands. 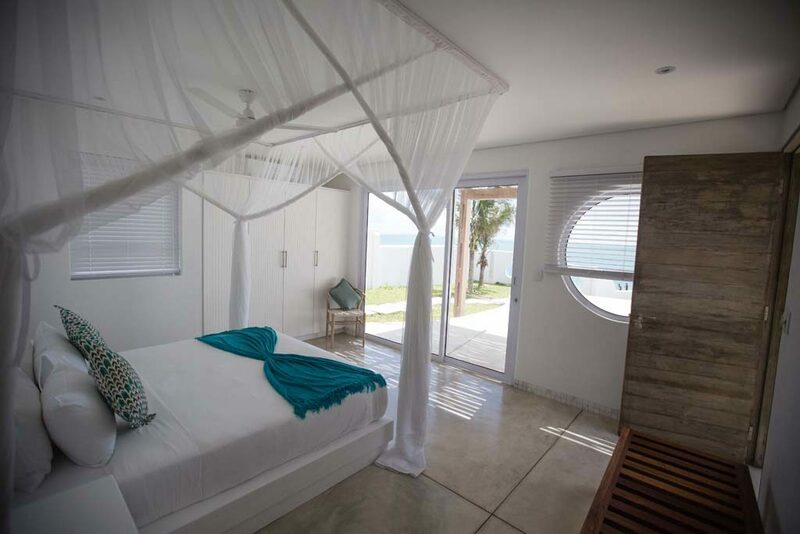 Beach Luxury Suite  Pied-à-terre luxury self catering unit with king sized bed, flat screen TV ,lounge, fully equipped kitchenette, private barbecue, terrace with sunbeds and private splash pool, outside shower. 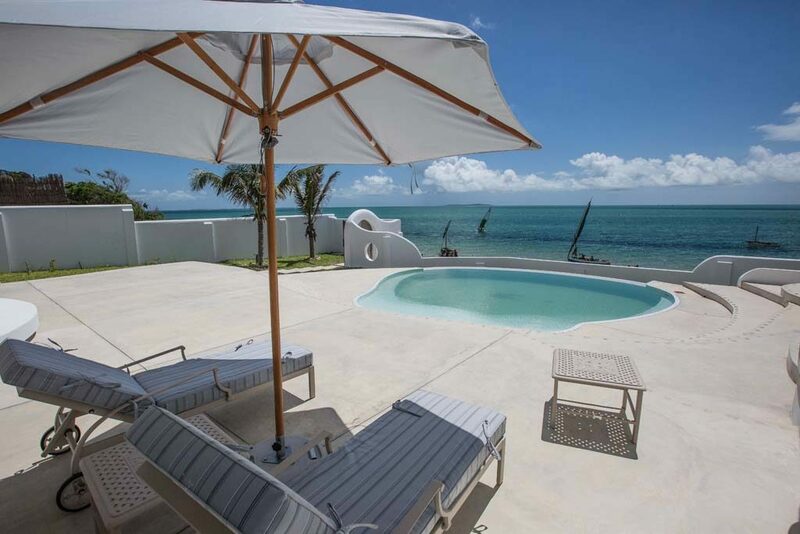 Beach Family unit  The ideal choice for a family. 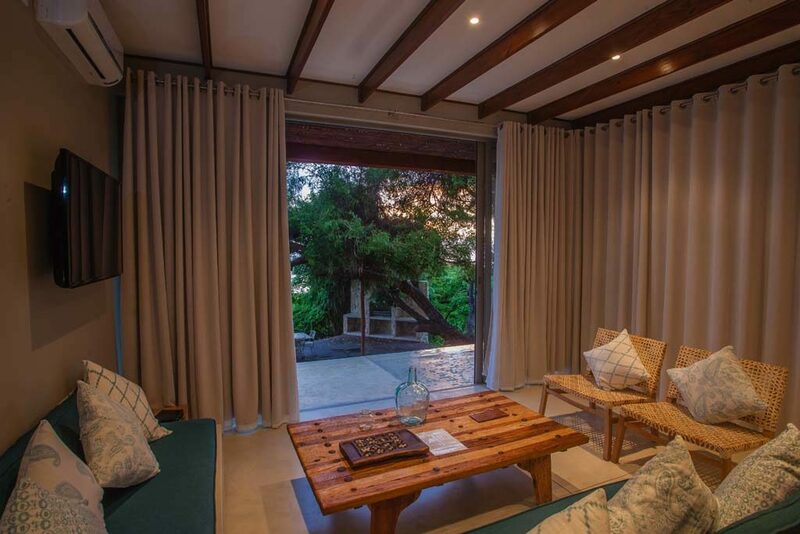 This family unit consist of two double bedrooms on the first floor and one pied-à-terre luxury suite ,barbecue . 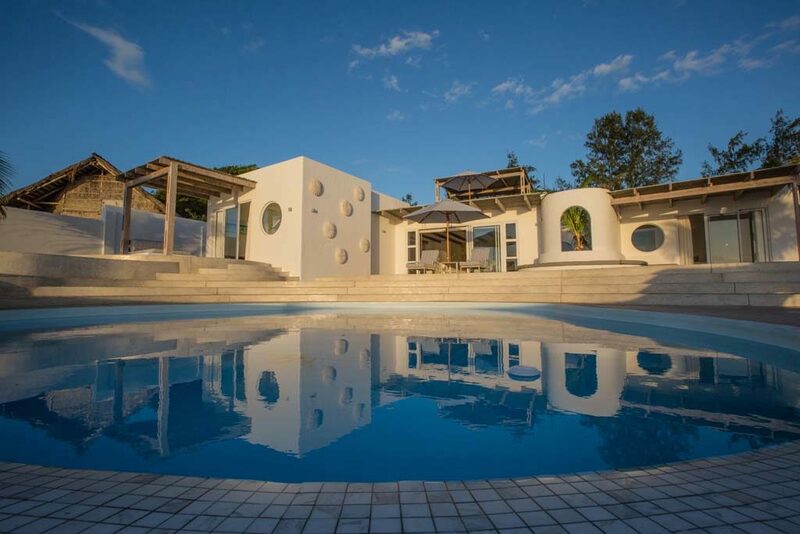 Luxury self catering unit with flat screen TV lounge, kitchenette, private barbecue and splash pool. 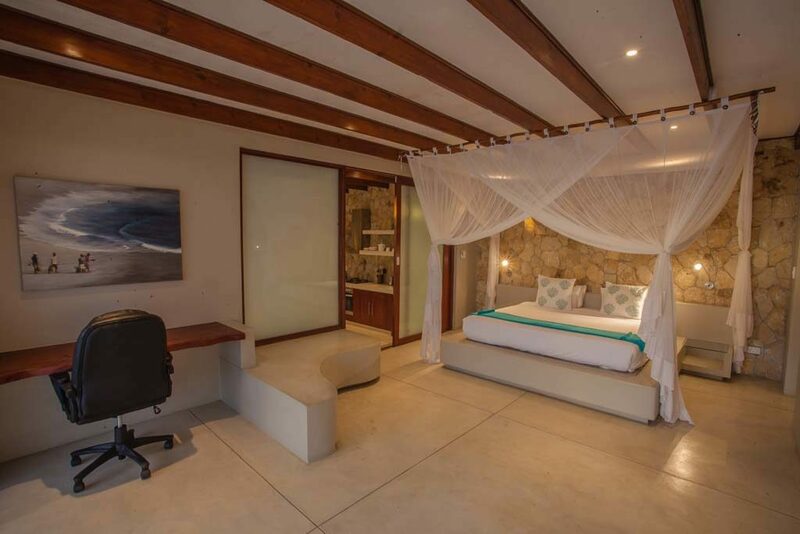 Presidential Suite  Private Pied-à-terre luxury self catering unit with king sized bed, ensuite shower, TV lounge, fully equipped kitchenette, private barbecue area in the garden, terrace with sunbeds and a private pool. Wellness Centre at Bahia Mar Club. Health and wellbeing are the focus at Bahia Mar Club where a holistic approach has been applied to the development of our wellness centre. Comprising a state-of-the-art gymnasium, an aerobics area for group classes, massage rooms used for different therapies, an outside Jacuzzi and a Zen meditation garden, it is here that you can focus on both your physical and mental harmony, at one with nature Bahia Mar Club Business Centre Organisations wishing to consolidate business relationships are welcome in our 80- seat conference centre. All modern facilities are available, from translation services, through to projectors and flip charts. 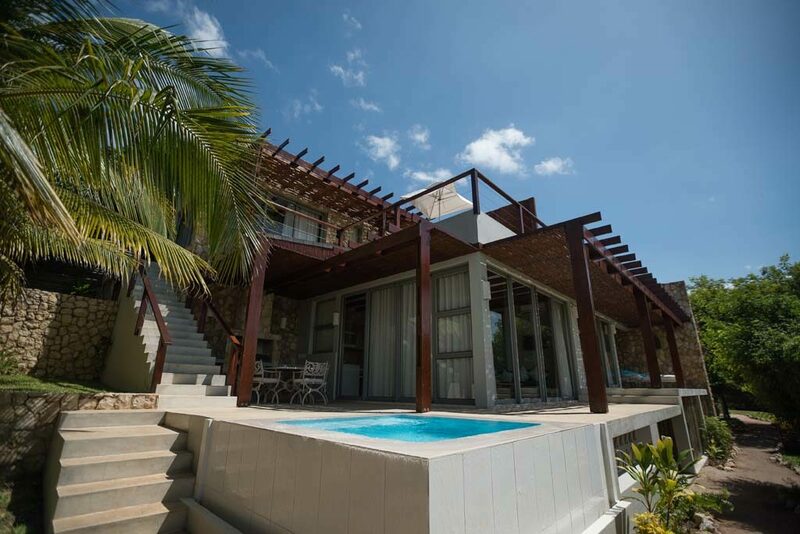 Bahia Mar Club in Vilanculos is an ideal location to focus the attention of all those taking part, away from the distractions of office and home. 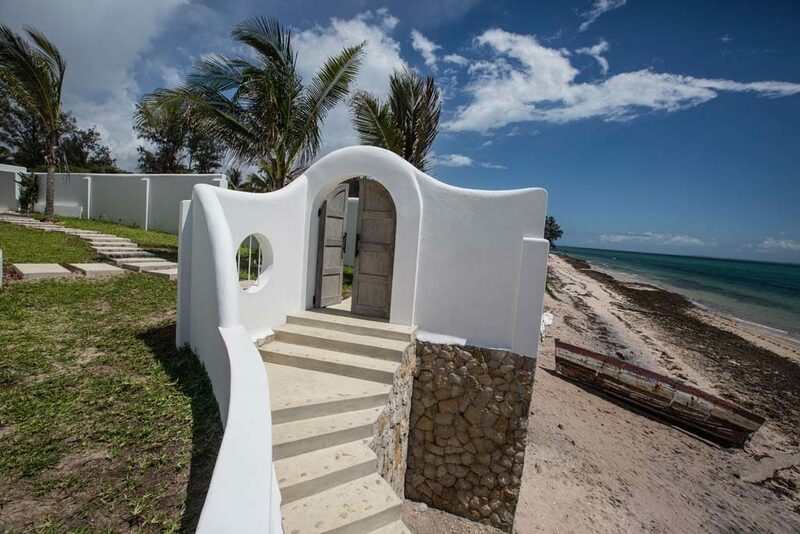 Bahia Mar Club is the ultimate destination for visitors exploring the fabulous Bazaruto Archipelago in Mozambique with Scuba Diving, Snorkelling, Dhow Trips to the Islands, Kite surfing, wake boarding and tubing, sunset dhow trips makes Vilanculos your ideal holiday destination.